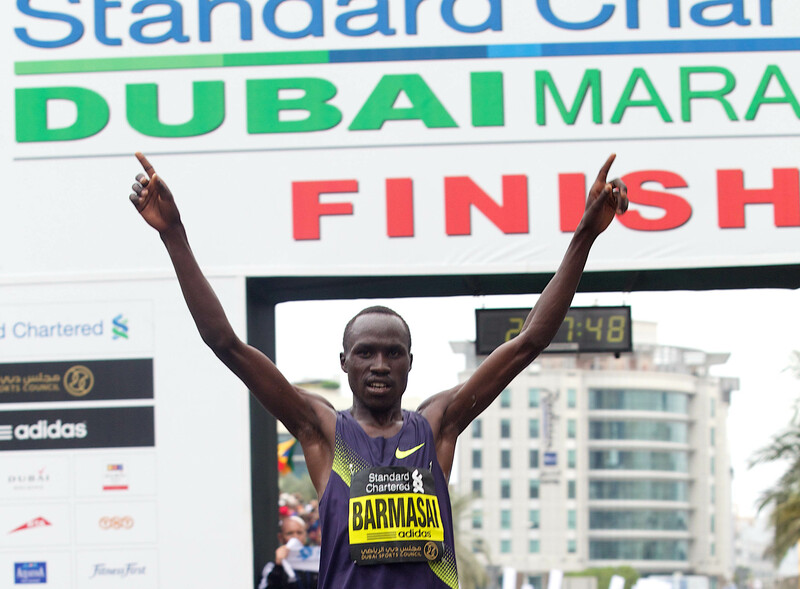 Dubai (UAE): Despite a mid-race burst by pre-race favourite Eliud Kiptanui, it was Kenyan David Baramasai who stunned a red-hot field to win the Standard Chartered Dubai Marathon 2011 (Friday). The 23 year-old made it three straight wins at the classic distance crossing the line in 2h:07m:18s to land a cheque for $250,000 – the biggest in distance running – by just under a minute from runner-up and fellow Kenyan Evans Cheruiyot (2:08:17). Third home for the second year running in 2:08:54 was Ethiopian Eshetu Wendimu with Kiptanui pulling out in the latter stages.